Need some help with Shadez 2? Check out these cheats, hints, tips and walkthroughs. New info is added regularly. Play Shadez 2 now! Find more Crazy Monkey Game Hints and Tips. Once the game has loaded and you have watched the Introduction you will be presented with this screen. 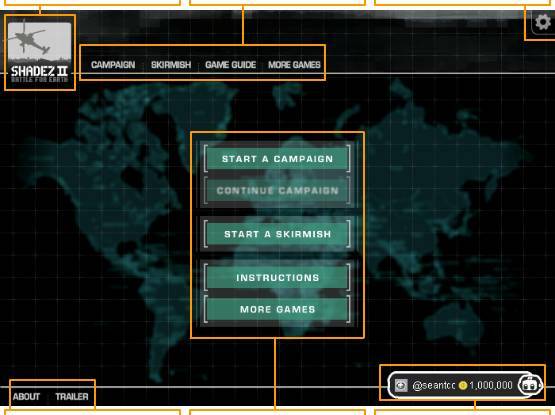 'Start a campaign' button starts a new campaign and takes you to the World map screen. 'Continue campaign' button continues a campaign, this button is only active when you have completed your first mission. If you 'start a campaign' during an active campaign, all data (missions completed, experience, etc.) will be cleared. 'Start a skirmish' takes you to the World map. 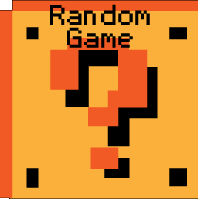 The 'Instruction' button takes you to an external web page (this page) and 'more games' button takes you to CrazyMonkeyGames.com. These buttons allow you to access the main menu from any screen. However you will not be able to start a new Campaign unless you go back to the Title screen. You can return to this screen by clicking the Shadez2 Logo. Login into your Mochi account, if you do not have one then please register. This will allow you to access the game with its extras and will save your current game play state, which will allow you to play the game on any webpage and retain your current position. 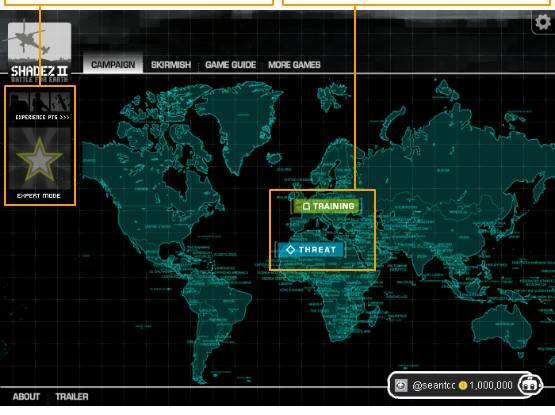 OK so you clicked the 'Start a Campaign' button and now you are on the World Map screen. 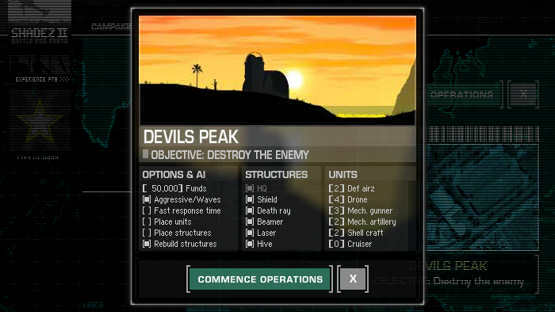 This is where you will access all missions in the game. Ok then, let's get started. I would suggest playing the TRAINING mission first, this will get you familiar with building, collecting ore and training troops. We will get on to this later in this guide. When a mission is completed (not the training mission), you will be presented with new Threat markers thus new Missions. After completing missions you will be rewarded with Experience points. You can assign experience points to units, structures and strikes which will in turn, increment their level making them more awesome. The maximum level for each item is 6. Great, you clicked on the training mission and commenced operations. Hopefully the troops made it there and were not intercepted by the enemy. There are many things you can do with your army but let's stay with the basics for now. Move the mouse over the unit, the mouse pointer will change, click and the unit will turn a different color and display a health bar. Now move the pointer to another location and click, the unit will then move to this position if they are able to get there. If there is an enemy under the pointer then the unit(s) selected will attack the target. To cancel press escape, this will deselect the unit. To make it easier for you to move more than one unit at once you can select groups. To do this click the mouse, draw a box around the units you want (a green box will appear) and then release the button all the units in the box will be now selected. Sorry for the complexity soldier but as you already know, war is a fairly complex occupation, if you want something easy I suggest you choose another vocation. This gives you information on the current selected item(s). Move the mouse over it will open the shortcuts panel, giving you quick navigation to your built items. At anytime you can use this to scroll the map and once you have built the Communication Radar all your items and the enemy will show up on this. You can also click on it to move the view to that position. Repair or sell items (by clicking on the button and then on the item). You need a repair bay to repair and sell units. Info opens the game guide in a new window. Pause the game or speed up the game 2/5 times faster than real time. Shows you how many funds you have to spend and the last button (if needed) allows you to add more funds (although you have to pay for them). This is where you can access and build all of your army and base. Different structures allow you build different units. Every structure requires power so you need to make sure that the power bar is always green, if it is Red then some things will not work. 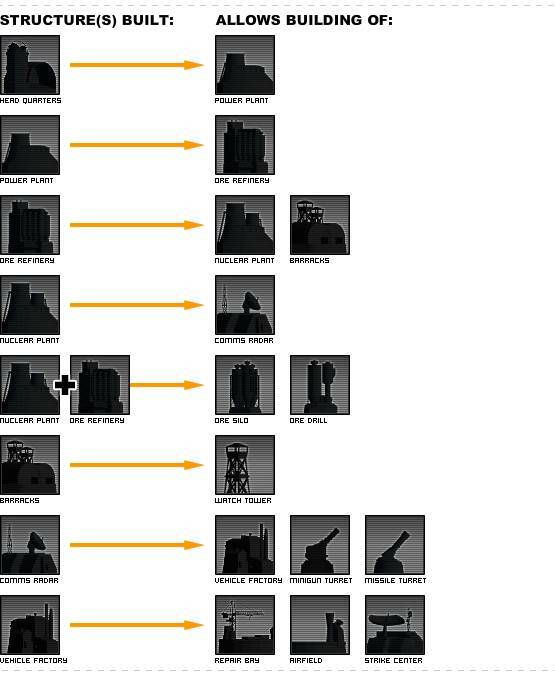 Power Plants and Nuclear power supply power to your base. You'll need to master this soldier, as this is what you'll be doing most of the time (apart from killing enemy scum). To begin building you will first need to find your HQ (go on, press H) and select it. OK, it is now selected, now we can build the first item in the list; the Power Plant. 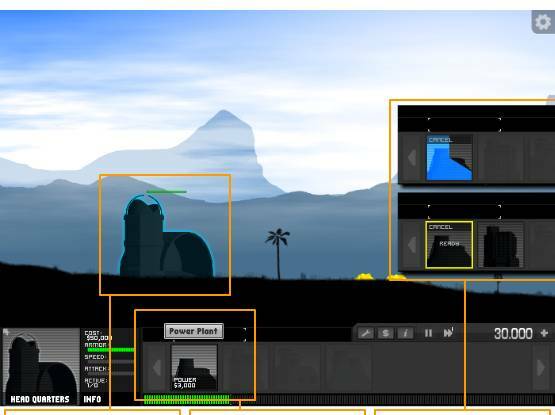 Click the Power Plant and this will commence construction. Once the construction clock reaches the end you can now place the structure. Select the icon and place the building near another building so that the image turns green. Click again and it will now be ready to use. You can cancel at anytime whether it is built or building. As you build items your funds will decrease by the cost of the item you are building. You need to keep a close eye on this as you don't want to run out. To earn more funds you need to start collecting the ore on the landscape, it's a nice shiny yellow color so you can see it. Build a Ore refinery and an Ore collector comes free with it. The Ore collector will go about its business and start collecting the ore and brings it back to your ore refinery. The ore is then turned into something you can use, MONEY. If your troops/vehicles are on the ore then the Ore collector may have trouble getting into position so be sure to leave the Ore fields clear. Also you can directly mine ore using the Ore drill. Make sure you can store all the ore by building more Ore refineries or Ore silos. Any overflow will be lost for ever. Having mastered building, to create an army you will need to expand your base. Once the barracks is built then you will be able to train some troops. You can build up to 9 of one type at a time and you can build them all at the same time as well. Troops are fast to build, so keep them queuing up. 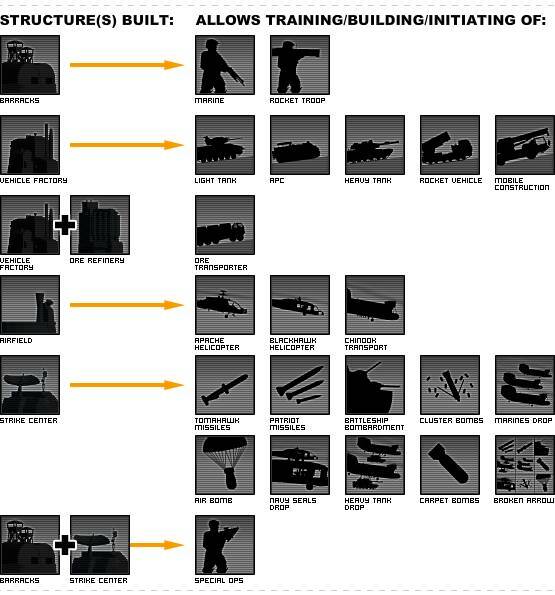 Some troops require you to build other structures to be built before they become available. Now that the vehicle factory is built you can build more powerful units. Again like the barracks you can build up to 9 and you can build them all at the same time. Some vehicles require you to build other structures to be built before they become available. Now that the airfield is built you can build aircraft. Again like the barracks and vehicle factory you can build up to 9 and you can build them all at the same time. Some aircraft require you to build other structures to be built before they become available. To repair a structure simply click on the repair icon on the interface (see the interface section) and then click on the structure, if the structure's health is less than 100% it will start repairing and a tool wrench will appear over the structure. Repairing structures costs money but it is 50% cheaper to repair than rebuilding it. To sell structures simply click on the sell icon on the interface and then click the structures you wish to sell. Be sure to cancel afterwards, you don't want to start selling structures by accident. Once the repair bay is available and you have built it you can now start repairing and selling units. Simply move the unit(s) near or over the repair bay. If they need repairing, a tool wrench will appear over the unit. Again the cost of repairing units is 50% of the cost of rebuilding them. You cannot repair troops. If you wish to sell the unit, click the sell button on the interface and click the unit you want to sell. This will return 50% of the cost to build it. You cannot sell troops. The strikes and call-ins will change the outcome of most battles, these are key to your success. In the same way as building structures and units you can initiate strikes and call-ins. Click the strike/call-in you wish to initiate, this will then start the initiating. When the strike/call-in is ready click it again and assign a target by clicking on the screen. The skirmish options are only available to those who purchase the Expert mode. These options really allow you to change the way the game works, it also makes it easier or harder. Challenge yourself or just mess around, it is up to you. You can cycle between different starting funds. More funds should make it easier but if you are up for the challenge then keep them low. When this is set the AI computer player will become more aggressive and will initiate waves of attack. If it is unset then it will simply defend its base. When this is set the AI computer player will do things a lot quicker. The handling of units will be swift and devastating. When this is set the computer player will place units on the map at the start of the game. This will make it harder. When this flag is set the computer player will have an almost complete starting base. If it is unset it will have to build up its base over time in the same way you have to. If this flag is set then and you destroy an enemy's structure the computer player will rebuild it. If unset it will not rebuild its base after it has been destroyed. Unset will make it easier to play. You can set what the computer player can build. This allows you to really customize the game and make it harder or easier depending on the amount of time you have to play the game. HEADQUARTERS allows you to build all the structures list here. POWER PLANT produces power for your base. ORE REFINERY turns the ore collected, by the ore transporter, into money. NUCLEAR PLANT produces more power for your base. BARRACKS allows the training of troops. COMMUNICATIONS RADAR activates the radar map showing activity in the world. WATCH TOWER can be built a distance from structures allowing wider spacing. VEHICLE FACTORY allows the construction of heavy weaponry and other vehicles. ORE SILO stores excess ore collected. ORE DRILL can only be placed on ore and delivers a constant stream of funds. MINIGUN TURRET defends the base against ground attacks. MISSILE TURRETS defends the base against air attacks. STRIKE CENTER allows the initiation of strikes and call-ins. OFFICE BLOCK is a civilian structure that needs defending. HOUSE is a civilian structure that needs defending. May contain children. HOUSE is a civilian structure that needs defending. May contain children. HOUSE is a civilian structure that needs defending. May contain children. THE WHITE HOUSE is the home of the President of the USA. MARINE carries an m16, they are the primary unit to send into battle. ROCKET TROOP fires missiles at ground and air targets. SPECIAL OPS equipped with C4 and MP5, sneaks in and plants C4 charges. ORE COLLECTOR collects the yellow ore in the world. LIGHT TANK fires a 50mm cannon and moves fast across the terrain. APC can carry troops into combat. HEAVY TANK fires a '120mm fin-stabilized' round and packs a mean punch. ROCKET VEHICLE fires missiles at air and ground targets. MOBILE CONSTRUCTION allows you to build near to it. APACHE fires minigun rounds at air targets only. CIVILIAN needs to be rescued and defended. PRESIDENT is a key member of society protecting all mankind. TOMAHAWK missiles will search and destroy ground targets near to launch location. PATRIOT missiles will search and destroy air targets near to launch location. BATTLESHIP BOMBARDMENT will obliterate ground targets at a single location. CLUSTER BOMBS will obliterate ground targets across a wide distance. MARINES DROP will drop off marines via Chinook. AIR BOMB will obliterate air and ground units in the area of blast. NAVY SEALS DROP will drop off Special ops via black hawk helicopter. HEAVY TANK DROP will drop off a heavy tank via Chinook. CARPET BOMBS will obliterate ground targets across a wide distance. BROKEN ARROW will call in an array of airstrikes and call-ins to save the day.